Are you ready for pro Spring football (again)? The heck with the San Diego (or Los Angeles) Chargers and the NFL. There’s a new professional football league and it’s coming to Escondido on Sunday, Nov. 1. It all begins with tryout camps. Escondido hosts one for all players on Nov. 1 at Orange Glen High School. The same day; kickers, punters and long snappers also report to a San Diego camp at Mesa College. The previous day, Halloween, tryouts take place at Linfield Christian School, Temecula. It’s kind of a pay to tryout play scenario as each player is required to put up a $250 registration fee. All players must be three years removed from high school. They must have no remaining NCAA eligibility or have renounced any remaining eligibility. 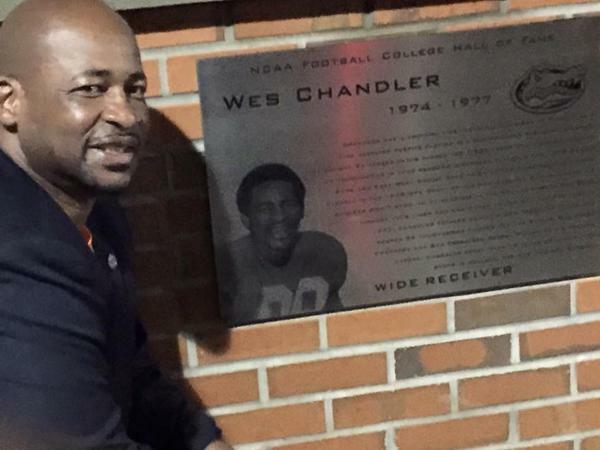 Former San Diego Chargers star Wes Chandler is commissioner of the new MLFB. MLFB tryout camps are being held across the nation through Thanksgiving. The first camps were at Eugene and Portland, Oregon 10 days ago. Final tryouts were scheduled for the Lakewood Ranch (Sarasota), Florida headquarters of the MFLB from Nov. 14-22. Players are vying for spots in the new league that pay $2,500 game checks for a 10-game season plus post-season. Also paid are training camp housing, daily meals and transportation. Agents and players can register online at http://www.register.mflb.net or by calling (941) 536-0000. Games will be played mainly at college football stadiums from early April through June in 2016 and 2017. League officials said they were considering 13 potential sites for the inaugural season. Letters of intent have been signed by Akron, Ohio; Eugene, Oregon; Birmingham, Alabama; Orlando, Florida; Little Rock, Arkansas; Norfolk, Virginia. Other cities under consideration included San Antonio, Texas and Casa Grande, Arizona, about halfway between Phoenix and Tucson. “We are very excited to initiate our tryout camps,” Wes Chandler, President of Major League Football., and former NFL and Chargers star, said. “Over the past six months, we have received a steady flow of player, coaching and staff interest from hundreds of people eager to play in our league, coach and train our players and be a part of the organizations. 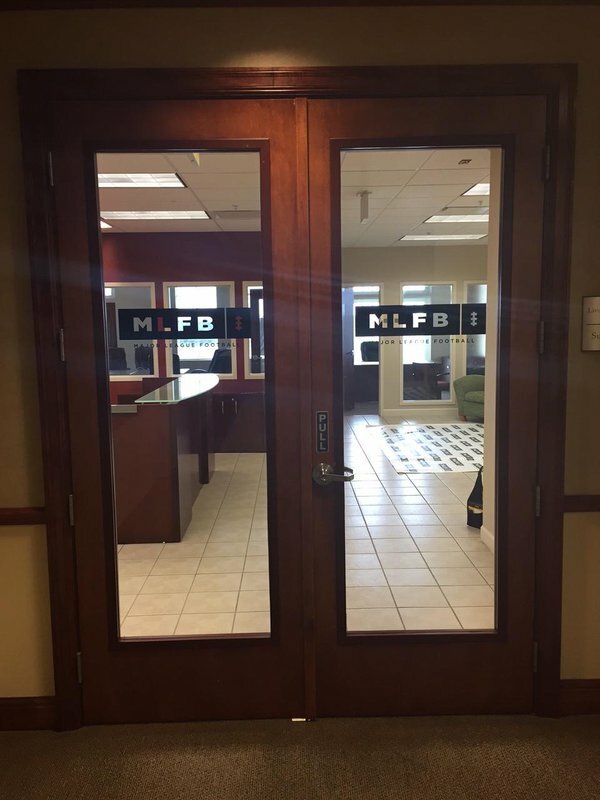 MLFB offices near Sarasota, Florida. Dean Dalton, a former NFL assistant coach, now senior vice president in charge of football operations for the new league, said, “There are people who need their football fix and go into withdrawal from February to July. We have to feed that need. Rosters will have 80 players with the first 40 picks coming through a territorial draft. The league also will allow free agency. While players can be any age, the league will cap their eligibility at four years. Coaches and general managers already have been selected for the eight franchises. Their names haven’t been released, but they are said to be names familiar to football fans. MLFB officials will assist players in forming a player’s union. The league promises to be on the cutting edge of health and safety when it comes to playing football. DNA testing for all players will be used to aid diet and performance. Sequenced DNA testing will aid in predicting susceptibility t head trauma. Neurologists will be on-site during training camp to address concussion issues. New technologies will be used to aid officiating.